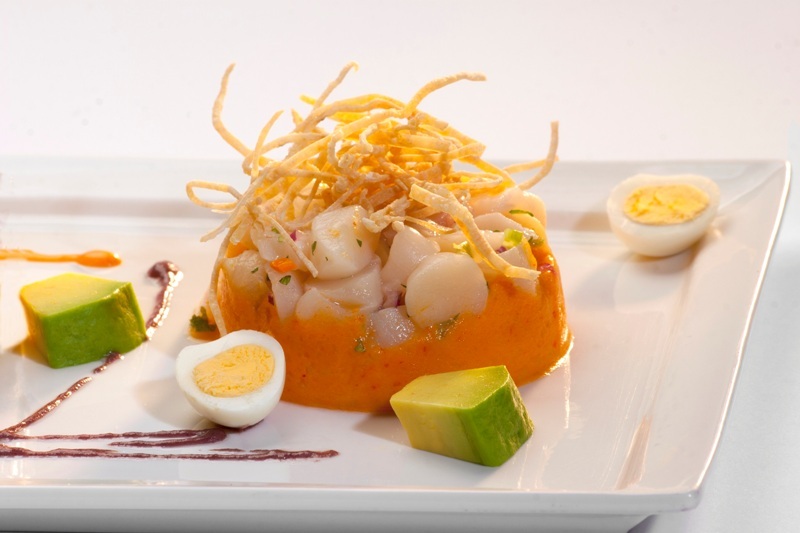 Causa is one of those dishes all Peruvians love, especially during the warm summer months. Despite containing a large amount of potatoes, this cold appetizer is light and refreshing, and it can be made well in advance or in the spur of the moment, filled with tuna salad or chicken, or with your favorite vegetables to make it vegetarian. 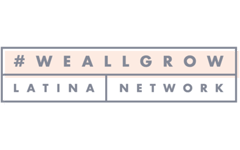 Traditionally, this dish is made with Peruvian yellow potatoes, but yucca is also a great ingredient to work with. These days, some cooks even use Lima beans and taro to make it different, with delicious results. If you have potatoes at home, use them instead of the yucca in this recipes, if that’s easier for you. Just cook them in boiling water, and when tender, peel them while hot and pass them through the ricer twice to get the right texture. Yucca gives causa a wonderful silkiness that I really enjoy. 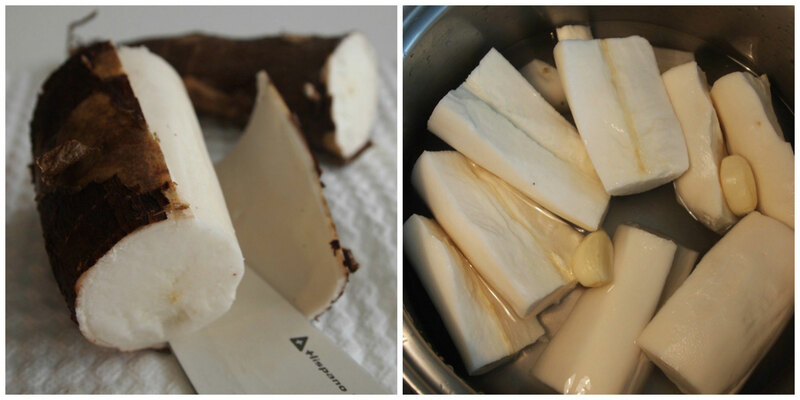 To cook this root vegetable, peel it and boil it with a few garlic cloves and salt. 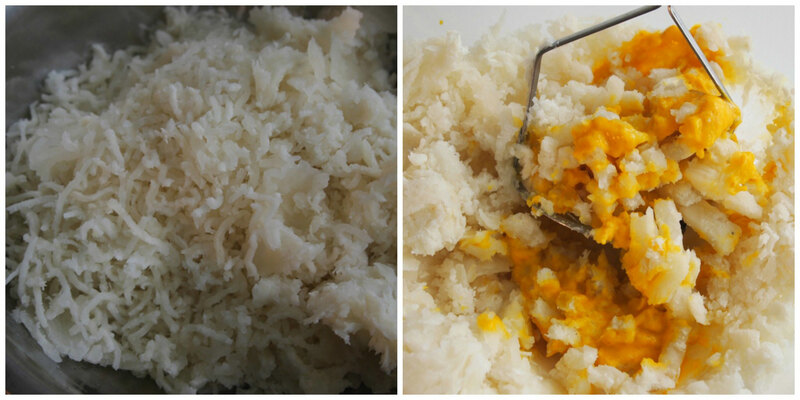 Then mash it with ají amarillo paste, vegetable oil (or olive oil if you want to make it healthier), salt, and lime juice. 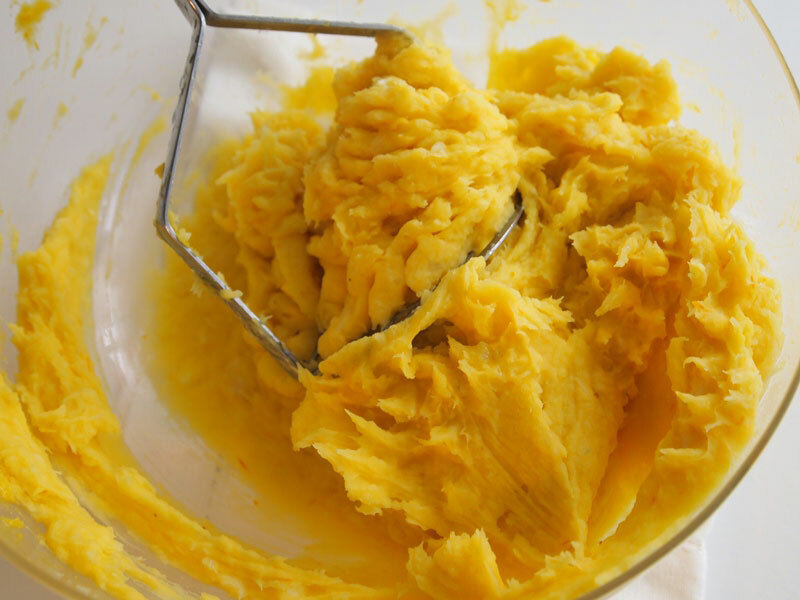 If you don´t have aji amarillo paste, use roasted bell peppers processed in the blender to make a paste. The flavor will be different but good. The texture of the yucca mixture should be like thick mashed potatoes. For this recipe I used pastry rings to make individual causas, but sometimes I make it in a loaf pan or in a ring pan, then unmold it like a cake, and garnish it before serving. To make the filling I chose Bumble Bee Prime Fillet Albacore Tuna with Chipotle and Olive Oil. This tuna makes things much easier when cooking because it already is filled with flavor, as it combines albacore tuna with fine, restaurant-inspired ingredients. You don’t have chipotle? Not a problem, because the chipotle comes in the tuna! Other flavors include Lemon & Pepper, Sun-dried Tomato & Basil, Spicy Thai Chili, Sun-dried Tomatoes & Olive Oil, and Jalapenos & Olive Oil. 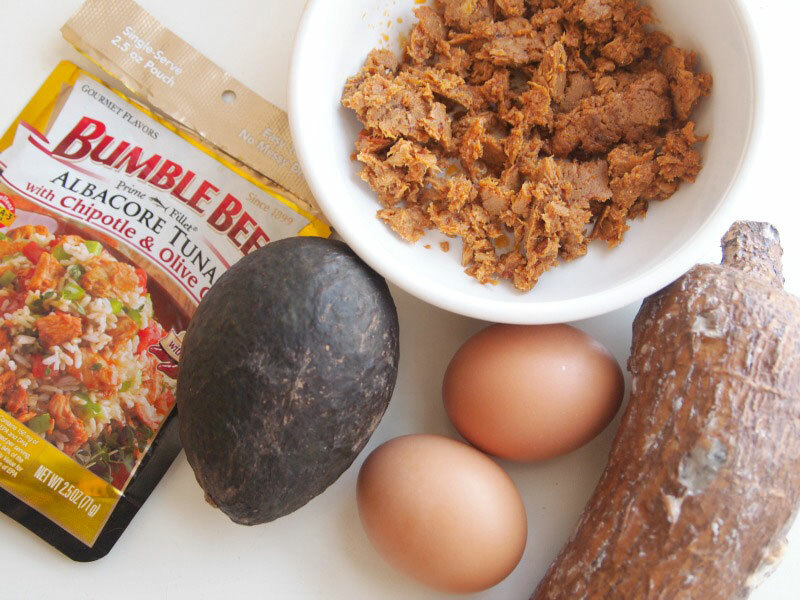 Using this product is so convenient that you will just need to add a few simple ingredients, and your nutritious tuna salad will be ready to go. The easy to open pouches also make every cook’s life simpler, as you can forget about annoying can openers and do this much more quickly. They are also super easy and light to carry around, making it an ideal product to bring along to your next summer picnic or to the beach. Tuna sandwiches anyone? 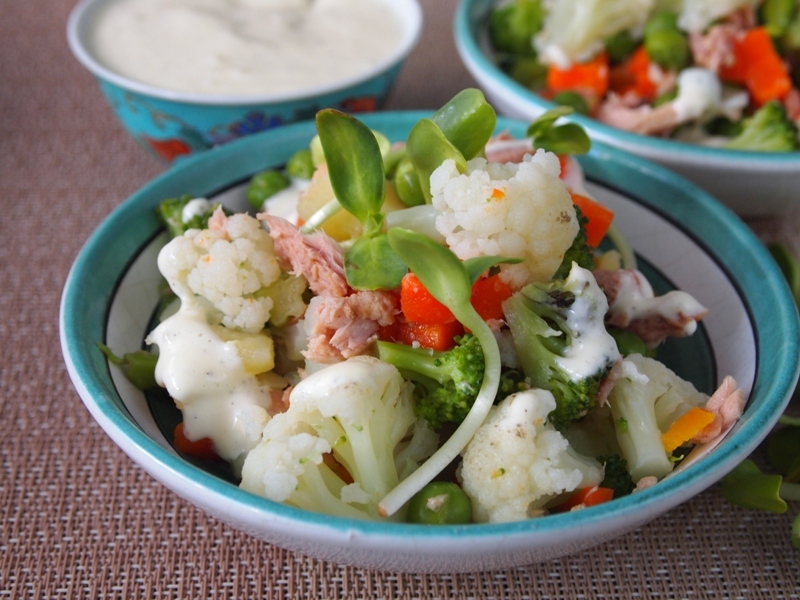 With this tasty tuna I can also make all kinds of salads, fill tomatoes or cucumbers, or even combine it with pasta… Yum! To assemble this potato terrine make layers of yucca, avocado slices, and mini tomatoes. Top with the tuna salad, and some sauce. Garnish the causa any way you want (have fun with this! ), and amaze your family with a beautiful and delicious dish. Now it’s your turn, what’s your favorite Bumble Bee recipe? I would love to hear! Wash the yucca, peel it, and cut it in chunks. Put it in a saucepan with the garlic cloves and water to cover. Bring to a boil. When the yucca is almost tender add salt to taste. Keep cooking until soft. Drain the yucca and pass through a ricer to make a puree. Add the aji amarillo paste, vegetable oil, and lime juice. Knead until the ingredients are well incorporated. Add salt to taste. Cover with a kitchen cloth while you make the tuna salad. 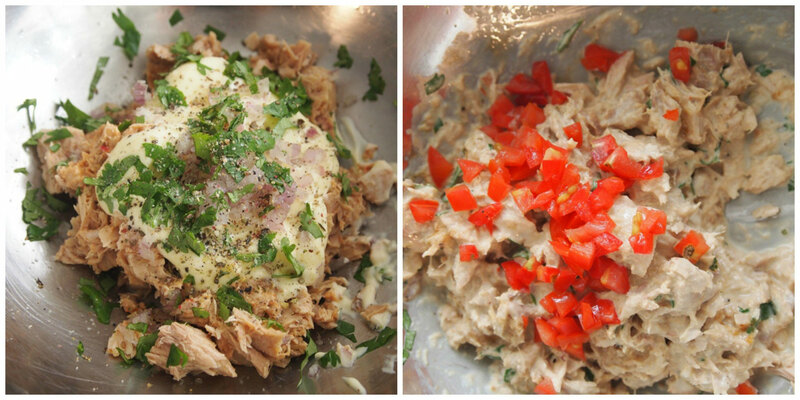 In a bowl combine the tuna with the red onion, cilantro leaves, tomato, salt, pepper, and ⅓ cup mayonnaise. Mix well. To make the sauce, combine mayonnaise, ketchup, and Hoisin sauce. Have 6 pastry rings or ramekins ready, each one in a plate. Oil them on the inside and make a layer of yucca dough at the bottom. Add avocado slices and some mini tomatoes. Season with salt and pepper. Add more yucca dough. On top of this yucca terrine put a portion of tuna salad. 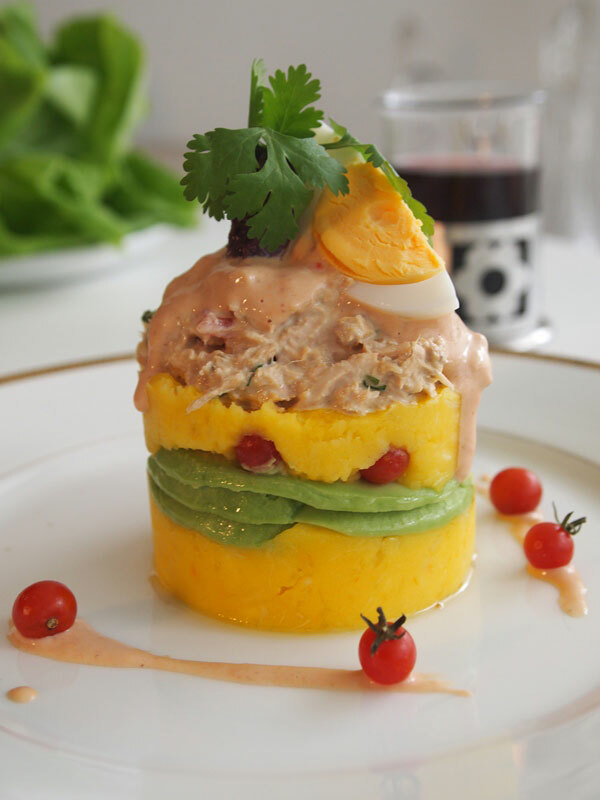 Take out the pastry ring carefully and garnish the causa with the sauce, more mini tomatoes, olive halves, hard boiled egg slices, and cilantro leaves. I think you meant Yuca…Yucca is a flower that is not grown for consumption. Other than that, this is a great recipe…layer it with whatever you like! Crab meat, peas, huacatay sauce, mango…the variations are only limited by your imagination.